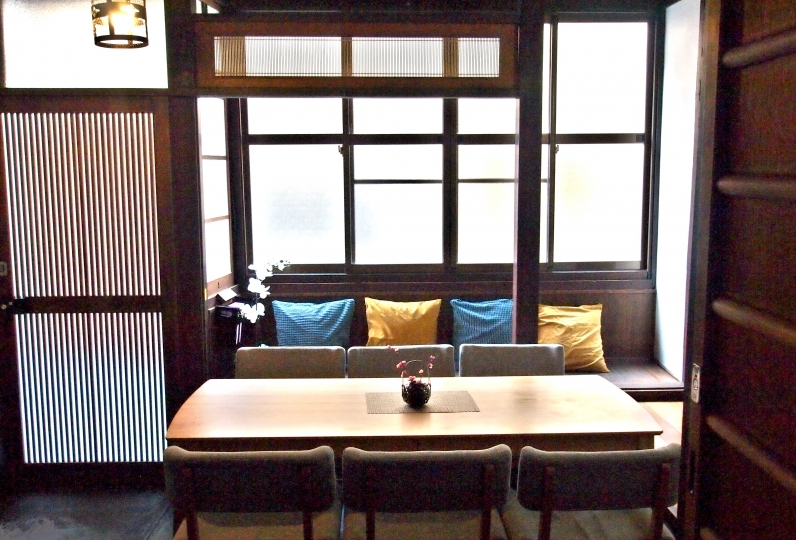 The ancient city of Kyoto becomes your home with this ryokan. 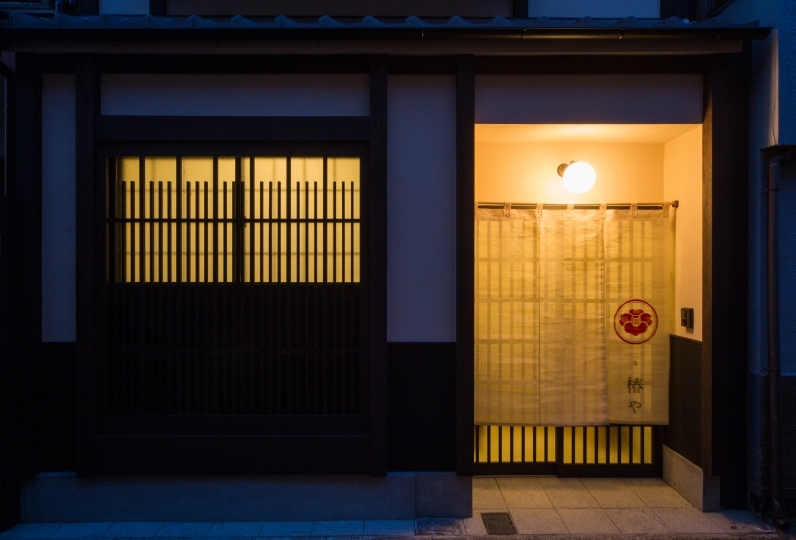 Situated among trading houses of centuries is our little ryokan, which used to be a wholesale store of rice for sake brewer in old times before our renovation. 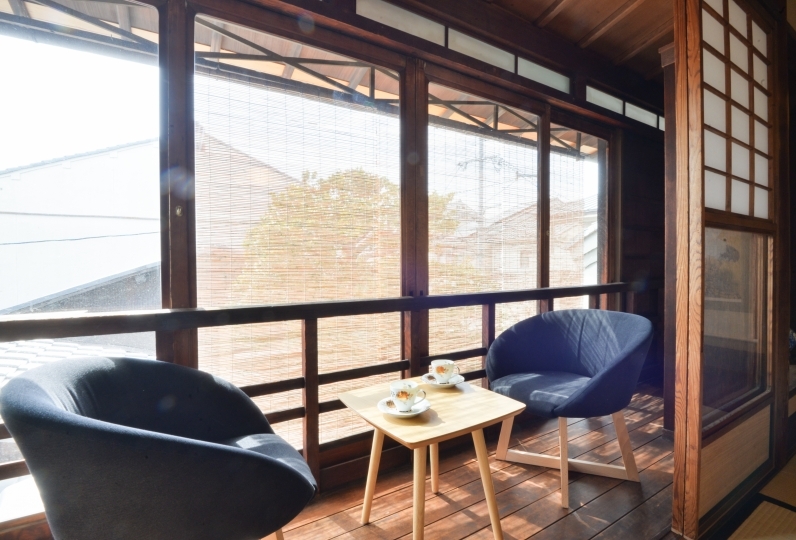 Guests can truly take in the feeling and experience of authentic Japan and the Kyoto cultural heritage with everything about this townhouse, from the calm and serenity of the inner garden to every piece of the historical furnishings inside. 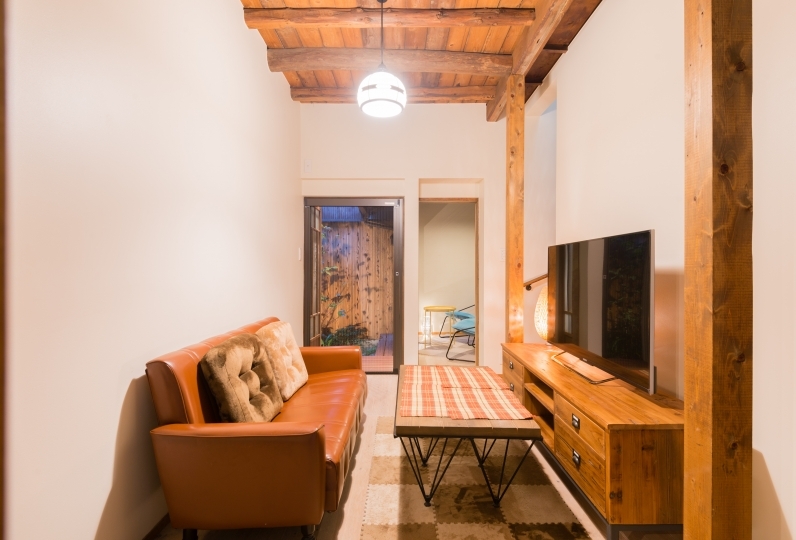 Make this your home away from home, and Kyoto will become your home, too. 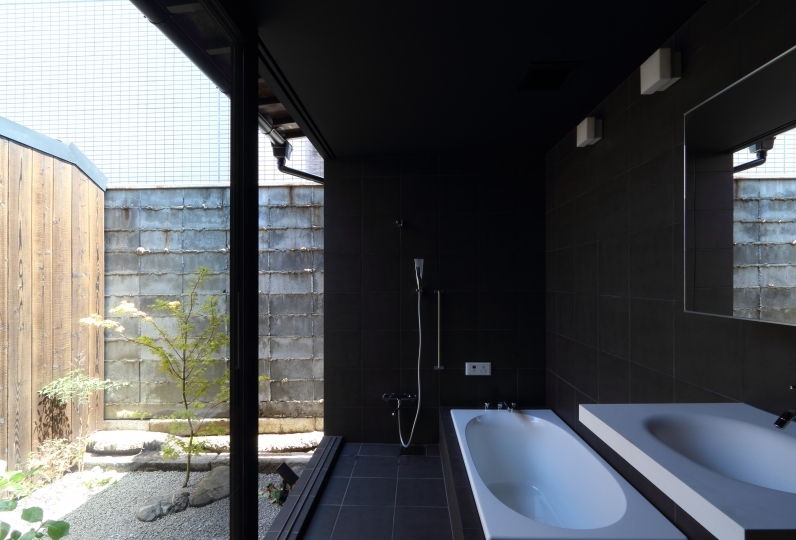 The bathroom is made of umbrella pines, the top class of wooden bath, highly praised for their white-yellow color with luster, noble scent of cypress, and minute grains. While in bath, guests can enjoy the view of our Japanese inner garden with top-class artistic stones and trees of Kyoto, such as Wabisuke, Camellia, Quercus phillyraeoides and Japanese maple tree. Take in the woody scent of cypress, stretch out in the relaxing warmth of the bath, and witness the magnificent harmony the nature creates, seen in the bloom of flowers that is different for each season. The World Heritage “Nijo Castle” is one of the famous sightseeing places in Kyoto, and welcomes many people from all over the world. Walk to the castle, and on the way you will feel you are at the hometown of “Nijo Castle”. Also, there is moat around the castle, and a narrow street beside of the moat is popular as a jogging route among the locals. One lap around the castle is about 1.8 kilometers, a comfortable distance for a little exercise. 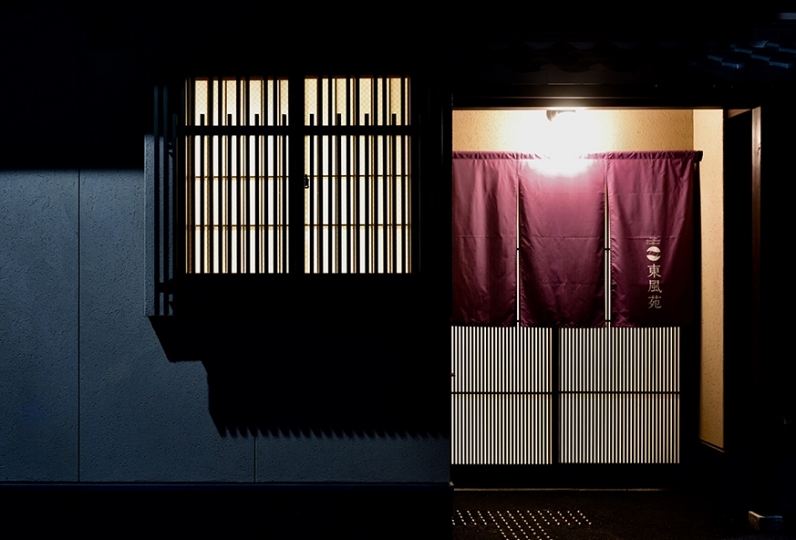 “Shinsen-En,” which was known as a drinking place of a dragon is also a walking distance from the ryokan. The ryokan is located not only in the hometown of “Nijo Castle”, but also at the center of the city resurrected by Hideyoshi Toyotomi, who conquered the whole Japan in the Sengoku Period. During the era, at the ryokan's location was a residence house of Kagekatsu Uesugi and Kanetsugu Naoe, both popular commanders of samurai. You can see a small stone monument just in front of the ryokan to get a glimpse of this history. 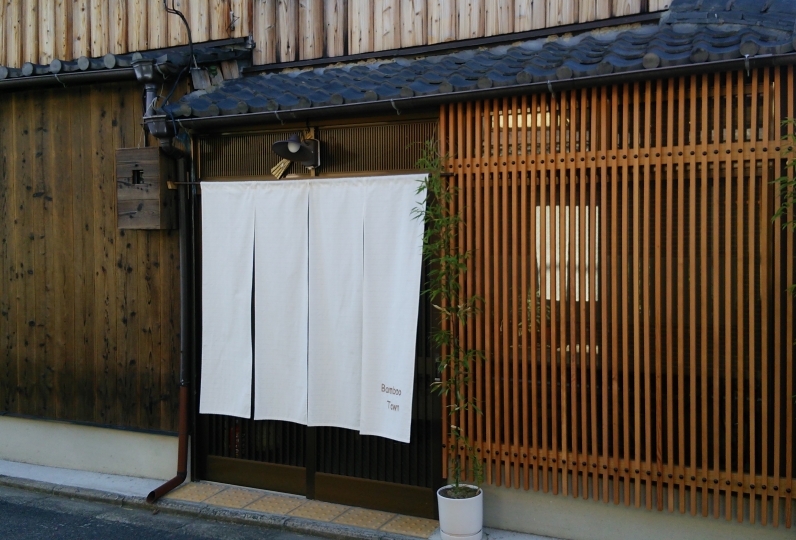 A walk around the ryokan will get you to many stores reminiscent of the old days, and restaurants with local foods. 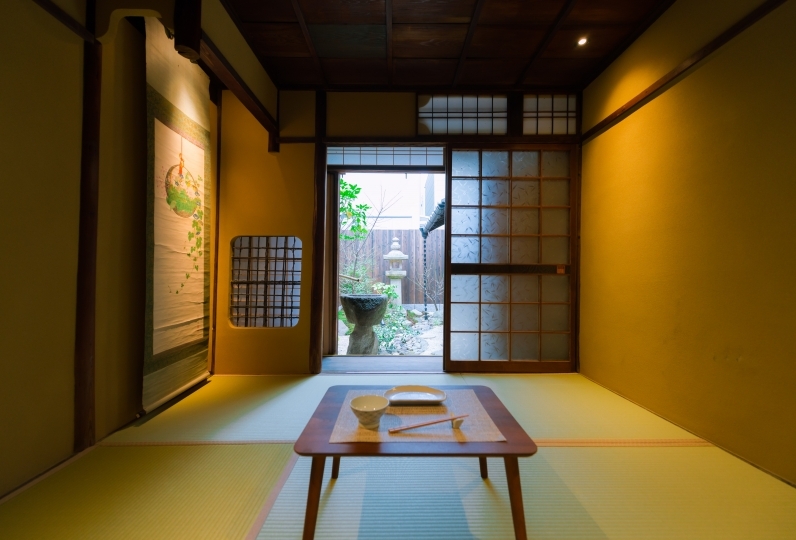 The original family of this house was a teacher of tea ceremony and ikebana (flower arrangement of Japanese style). 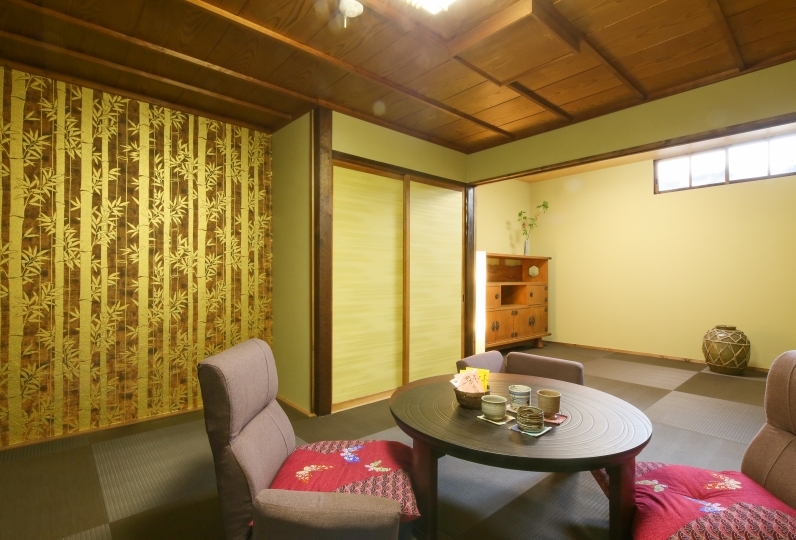 She taught ikebana on the ground floor, and tea ceremony upstairs. Guests will find many relics of those activities and memorable things from her days as a teacher. For example, you can see small hooks on the ceiling in the Japanese room called “Kamahiru-Kugi” which were used for hanging iron pots for hot water to use tea ceremony. 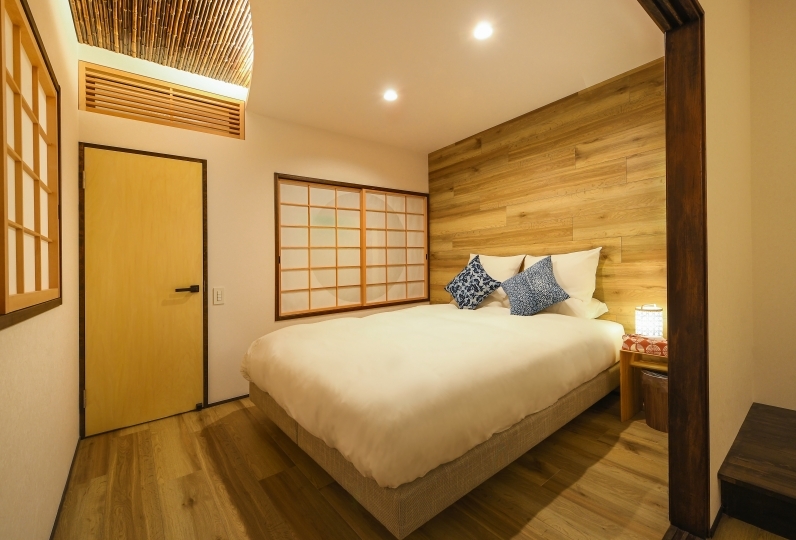 Just under the hook is a sunken hearth for boiling tea in the floor, and it is now covered by tatami mattress. 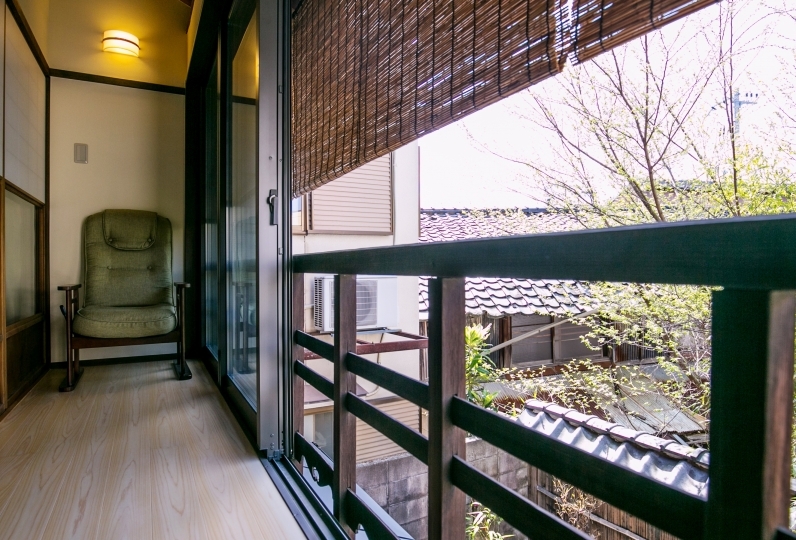 After October 1st, 2018, Kyoto city accommodation tax will be added separately. - Kyoto Municipal Subway Tozai Line: Get off at Nijojo-mae Station, take Exit 1 and walk for approx. 9 minutes. 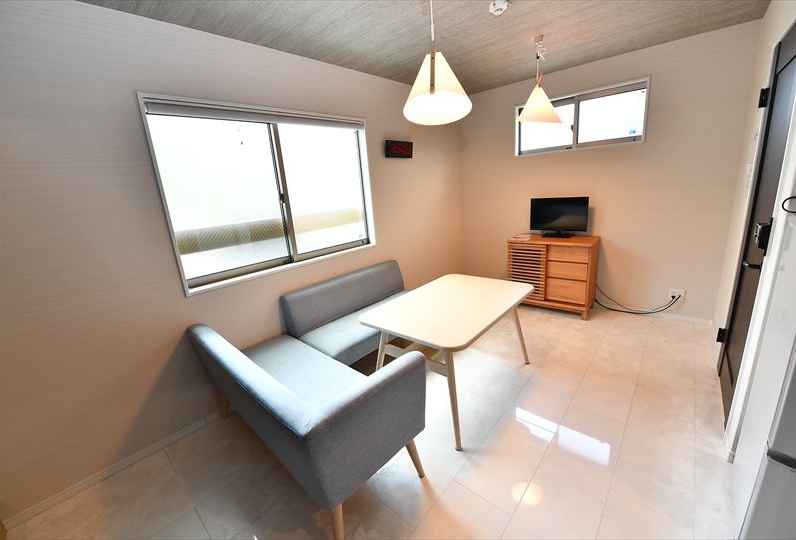 - Kyoto Municipal Subway Karasuma Line: Get off at Marutamachi Station, take Exit 2 and walk for approx. 10 minutes.